Provide Editorial aide to Muze Magazine. The job requires; writing biographies, researching topics, performing articles, and writing featured content for the website. Work in close contact with head editor and excelled in a team environment with 10 employees. I am asked to "wear a lot of hats" and provide aide in multiple areas. 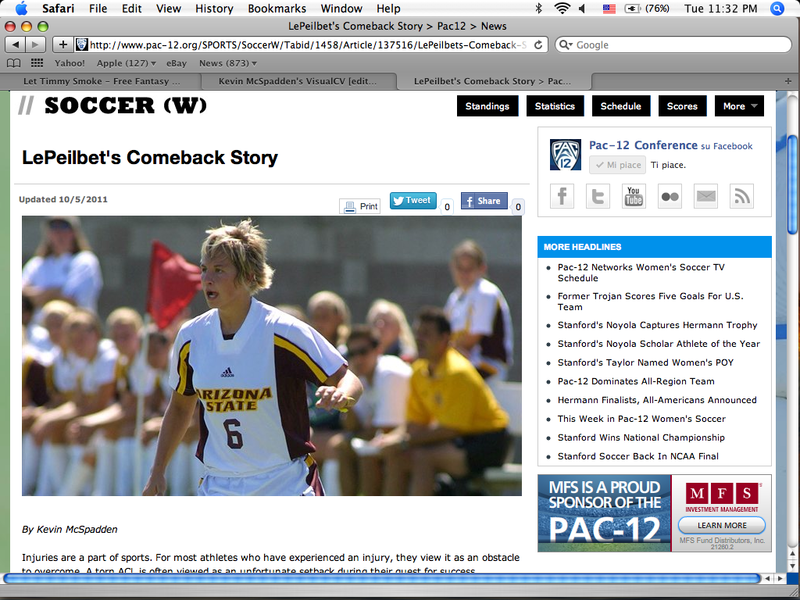 Consistently contributed feature articles to the Pac-12 sports website, www.pac12.org. I interviewed athletes, reported on events, and edited my articles to the standards of the Pac-12. Worked directly under Kirk Reynolds, and managed to remotely contribute to the website. 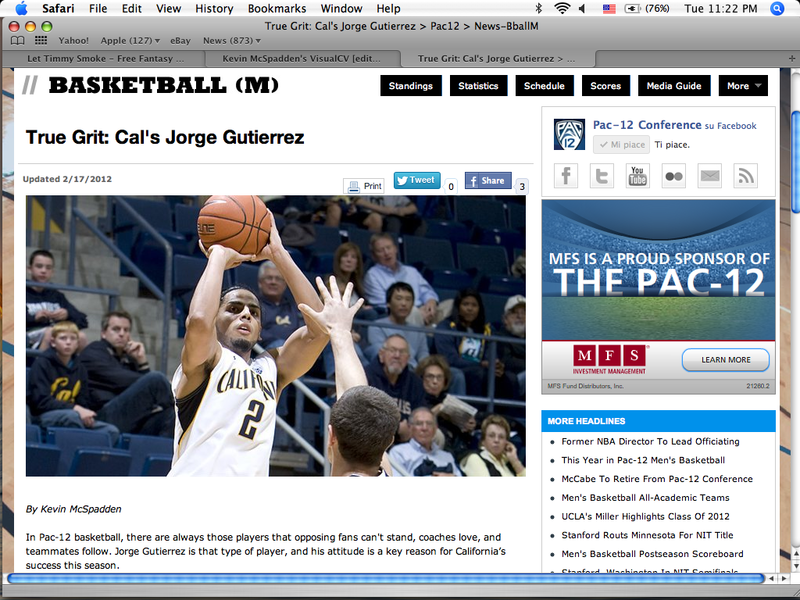 My standout article was a feature on California Basketball player Jorge Gutierrez. I also contributed to the Pac-12 football championship game program. Manage seating arrangements of a restaurant of 250 people. Right on Pier 39 in San Francisco, creating an environment that is busy, chaotic, and requires attention to detail. Must maintain high quality customer service during periods of high volume. SEO Content Writer for startup company called PDXLY. I was in charge of creating Keyword driven marketing content to increase the internet visibility of our clients. During my time at PDXLY, I consistently wrote SEO marketing pages that hit in the top 1-4 google pages for the target market. I gained valuable analytic skills through my use of google analytics. Also, my time at PDXLY gave me valuable experience working in the startup environment. I learned first-hand knowledge of the benefits and challenges that working in a startup provides. My task flexibility was a key positive attribute, and I was an important figure in getting the company off the ground. I learned how to work in a professional environment that requires the creative thinking of a start up. Provided customer service to residents of the Living Learning Center at the University of Oregon. This included delivering mail, filing/completing legal residential paperwork, helping foreign students understand paperwork and providing answers to general questions. I had an amazing boss, and this experience taught me what quality service is supposed to look like. I learned how to be friendly while maintaining a professional attitude. This job lasted for my sophomore school-year and gave me my first experience with hands-on customer service. Katie Goodman was also a mentor of mine from a very young age. Shauna is my editor at Muze magazine. She is a wonderful person to talk to for employers seeking a reference. Bruce Combs has been a mentor of mine since a very young age. I have a wide variety of interests and would be more than willing to elaborate during an interview.